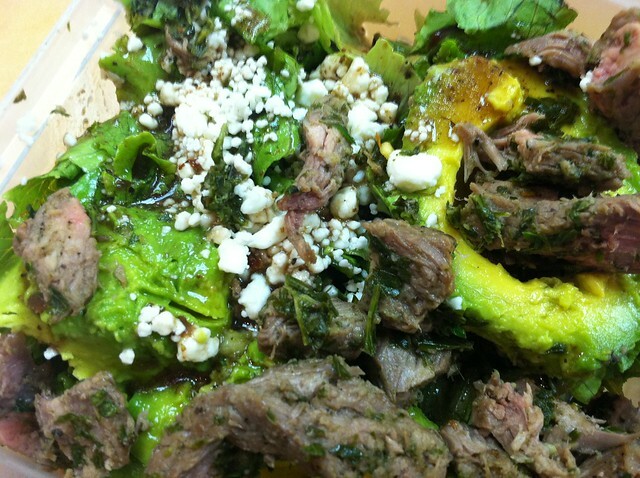 steak salad with chimichurri sauce and avocado – ugly food tastes better. So last night I made steaks and roasted garlic mashed potatoes, and brought the leftover steak in to work for my lunch today to put over salad. Paired with the fresh chimichurri sauce i made with my CSA parsley and a mini avocado, it was a delicious and healthier way to eat my leftovers and save money. 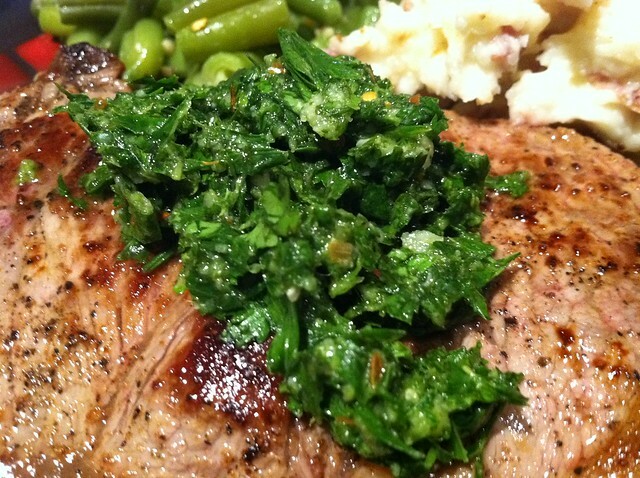 The recipe that follows is for the wonderful and zesty chimichurri sauce that I made, use it as you wish! Its fast, easy and delicious. I happen to have and love a Magic Bullet, but you can use whatever blending apparatus you own. First blend your herbs and garlic until finely chopped, and then add the rest of the ingredients and pulse until smooth. I served it over leftover steak slices with a halved avocado and a sprinkle of crumbled cotija cheese on a bed of lettuce* and ate it with my leftover green beans that i sauteed in butter, red and black peppers and salt. Hooray lunch! 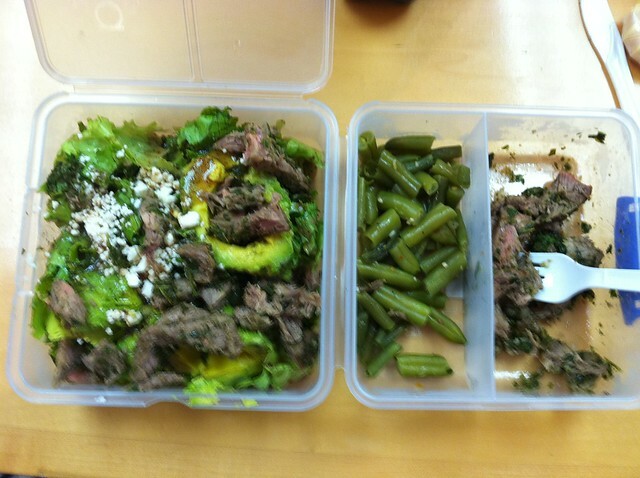 The food of course is enviable, but love that lunch container..it looks like it stacks to save space, right?